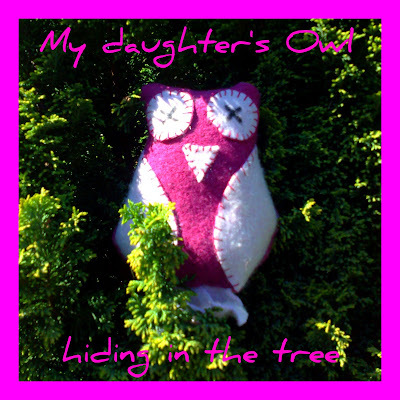 The photograph above shows the owl softie that I made. 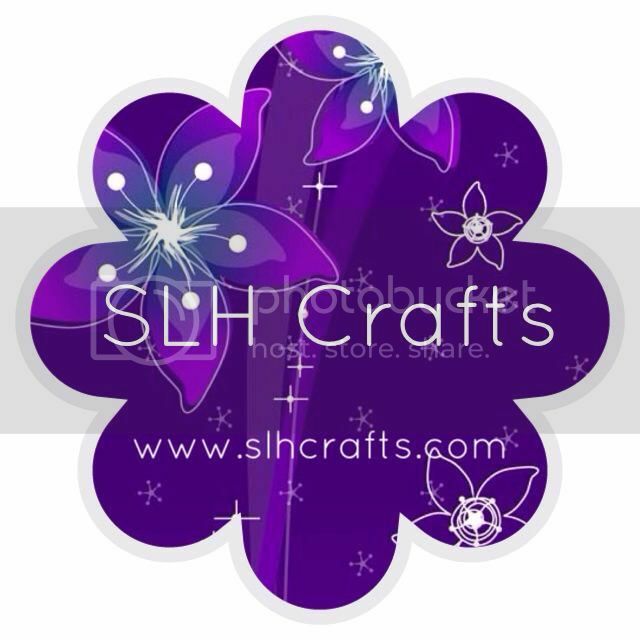 My mum posted the tutorial online on her blog and did say that it was me that made it. Thanks mum. The photo below show you what you need to make this owl. 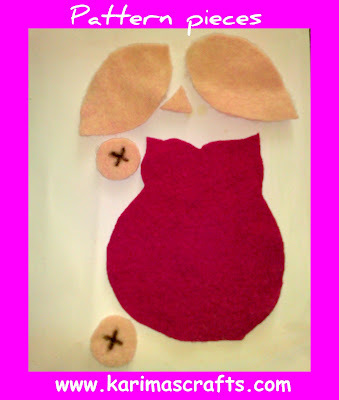 You need 2 pieces of the large owl body. 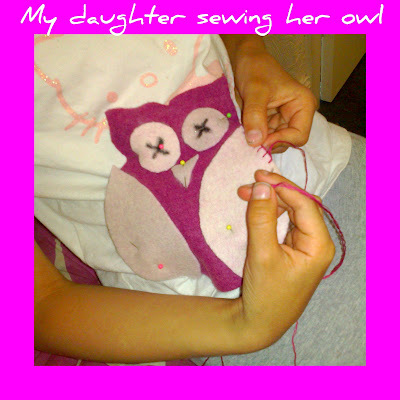 The photograph below is of me sewing the owl using blanket stitch.